If You Like I Heart Huckabees . . .
Our I Heart Huckabees movie night was a success! We sipped cocktails through mancala hour, enjoyed a little ice cream with Angela, tried not to be sick at the sight of Jude Law breastfeeding Jason Schwartzman, and had a rollicking good time. David O. Russell directed this stellar cast and got them to deliver some of the best work I've seen from them (Unfortunately, he is an alleged nightmare to work with. Lily Tomlin for one has vowed that this is her first and last David O. Russell film. 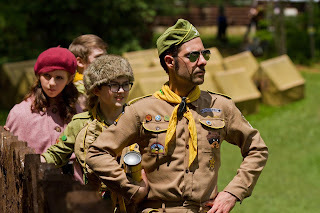 Watch this Not Remotely Safe for Work video on youtube, and you'll understand why).
. . . rent Moonrise Kingdom. 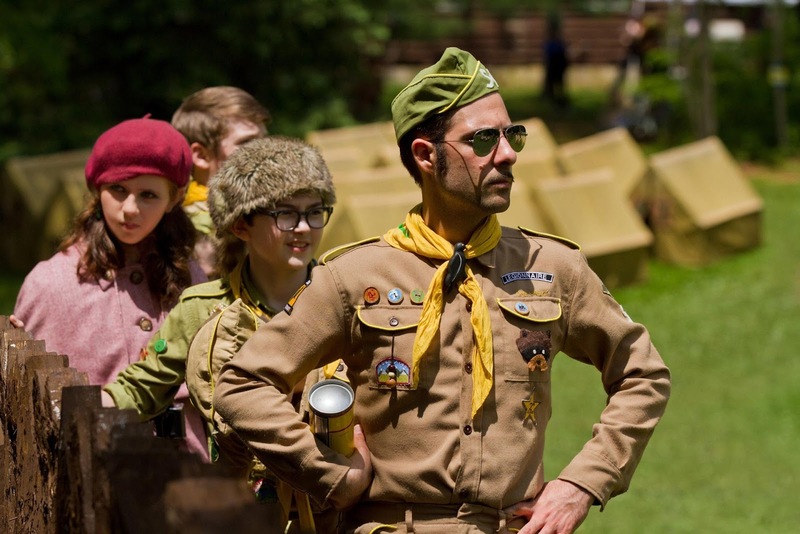 Schwartzman has long been Wes Anderson's darling, starring in movies we've screened at previous movie nights, such as Fantastic Mr. Fox and Darjeeling Limited. Anderson's latest film is his most endearing, an adventure but more importantly a first-love story between two "emotionally disturbed" 12-year olds. Schwartzman may only have five minutes of screen time, but he absolutely nails it in this role. 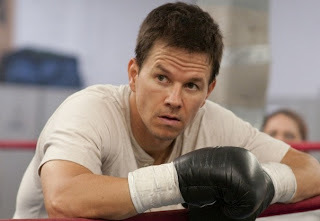 If you like Mark Wahlberg . . .
. . . rent The Fighter. Thankfully, David O. Russell doesn't give everyone the Lily-Tomlin-screaming-temper-tantrum treatment. Wahlberg worked with him on Three Kings, and then The Fighter made it a hat trick. It took him two years of training to get into fighting shape - this movie is no joke. Wahlberg plays real-life boxer Mickey Ward, and at ringside are Christian Bale and Melissa Leo, both giving Academy-Award-winning performances. 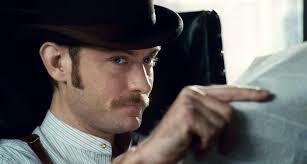 If you like Jude Law . . .
. . . rent Sherlock Holmes. Within the first five minutes of Guy Ritchie's new take on Sherlock Holmes, I knew this was a movie I would watch at least 20 times. With mind-bending fight scenes, great irritable chemistry between Holmes and Watson, gorgeous shots of mysterious Victorian London, and the patented Holmes deduction monologues, this film is irresistible. 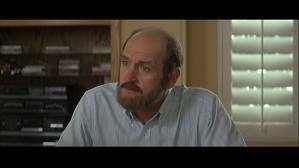 If you like Richard Jenkins . . .
. . . rent Step Brothers. He broke your heart in another one of our movie nights - Burn After Reading - but Step Brothers will make you laugh until your face hurts. Jenkins falls in love with Mary Steenbergen and marries her in the span of one tidy Vampire Weekend montage. The only trouble is, they each have a 40-year-old son who has never left home. Jenkins is a brilliant foil to their two sons, Will Ferrell and George C. Reilly. If you like Jonah Hill . . .
. . . rent Superbad. This is Hill's breakout performance, and it's a must-see. The plot arc might sound familiar - teenage boys on a quest to get score some alcohol in the pursuit of the holy grail of deflowering themselves - but you've never seen it so well-written. Seth Rogan wrote the script and it doesn't seem like a coincidence that lookalike Jonah Hill was cast in the starring role. 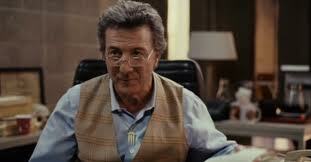 If you like Dustin Hoffman . . .
. . . rent Stranger than Fiction. Let's face it, the man is a moviemaking powerhouse. 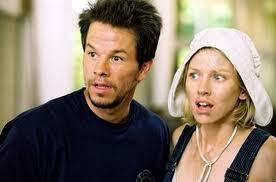 But of all his fine films, Stranger than Fiction has the most similar feel to I Heart Huckabees. Absurd in the extreme, it tells the story of a man - Will Ferrell - who comes to realize that his life is being narrated by an author who seems to yield total control over him. Hoffman once again plays a detective of sorts, trying to solve the mystery of who the author is . . . before it's too late.